So does this mean flights will have to wait outside Belgian airspace until 2200 and then form a queue to land? I guess there will be flow restrictions implemented in order to avoid such an accumulation of traffic ! The Brussels Airport web site shows four arrivals between 2100 and 2200 that aren't cancelled and 6 after it. SN3788 from ACE (the flight I took two weeks ago to come back from holiday), OO-SNC (Magritte), STA 23:15, is diverted to CGN. Probably to operate one of the two flights scheduled for tomorrow. 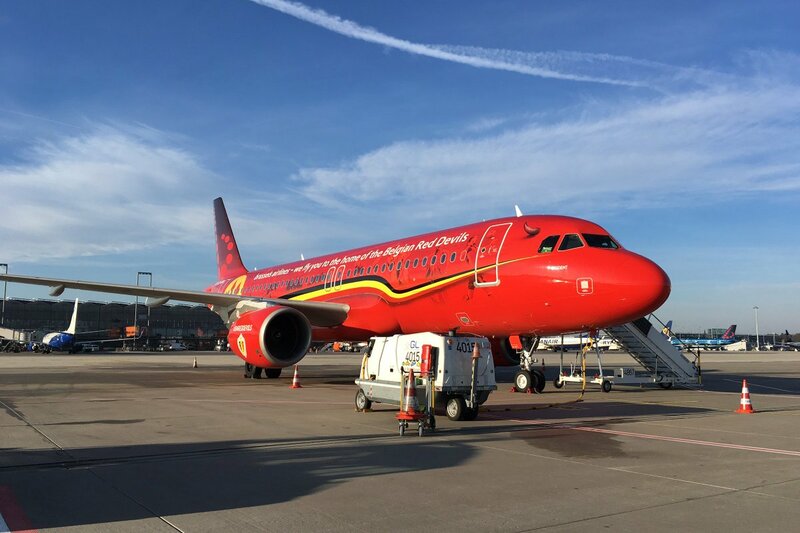 The other aircraft diverting to CGN should be OO-SNA (Red Devils), SN3160 from MXP, STA 22:35. As a reminder, SN operated two flights out of CGN (instead of BRU) tomorrow: SN3325 to Hurghada and SN3779 to Tenerife South. No certainty about the number of staff showing up tomorrow? These guys deserve a gold medal! - call sick as much as you wish, just advise your employer one hour before your shift starts. Don't bring a sick note, it's not needed if it's for one day: take it easy. - you will have a lot of responsibilities but peaks last less than one hour each morning and each evening so there is good chance you are on break at that time. But don't worry we will never assess your performance and if you don't work properly, it's fine too. BUT please say if you come to work on a strike day because you might annoy a few thousands of people who have nothing to do with what you are striking for. Quite surprising that their wonderfully innovative new name (Skeyes! ) has not succeeded to boost their motivation! These guys' carelessness and contempt are a national disgrace! As for the railways, ATC should have a minimum service level and striking agents should announce their intention to strike 72 hours in advance. I think if a strike is called it should be from midnight (after the last scheduled passenger flight of the day) until midnight the next day. Props to Ethiopian as well who personally called us to have us ask our clients to be at the airport earlier so they could try and leave before 22:00, unfortunately they had to come from MAN and it didn't work out and went straight to ADD. It should have been clear a week ago what Skeyes would do, not a few hours before the strike starts. If you want to close Brussels Airport, fine, but anounce it in time. Belgian air space below 24,500 feet, a few minutes past 22:00 (UTC +1), no more air traffic except a few aircraft heading to Luxembourg and Cologne, check Luxair LG4598 flying North of France to reach Luxembourg Airport. Ryanair FR6933 from Rabat to CRL and FR8076 from Marrakesh to CRL also diverted to CGN. According to Eurocontrol, the closure of Belgian airspace below 24,500 feet has a knock-on effect on Amsterdam Schiphol. The aim of a strike is to cause the maximum of distress to passengers and the maximum of damage to the industry. Those trade union guys indeed can only be stopped from doing so by solid legislation: a legal "minimal service level" like with NMBS/SNCB/Infrabel. Or like in Portugese aviation. In the past, regional airports in the south used to remain open for business during strikes (PS FGTB influence, probably). But now, with CRL and LGG also closed, the next federal government may well be willing to implement the "minimal service level". ...the next federal government may well be willing to implement the "minimal service level". Ethiopian Airlines on 13FEB19 operates 737 MAX 8 aircraft on Addis Ababa – Manchester nonstop sector, replacing 1-stop 787-8 via Brussels. 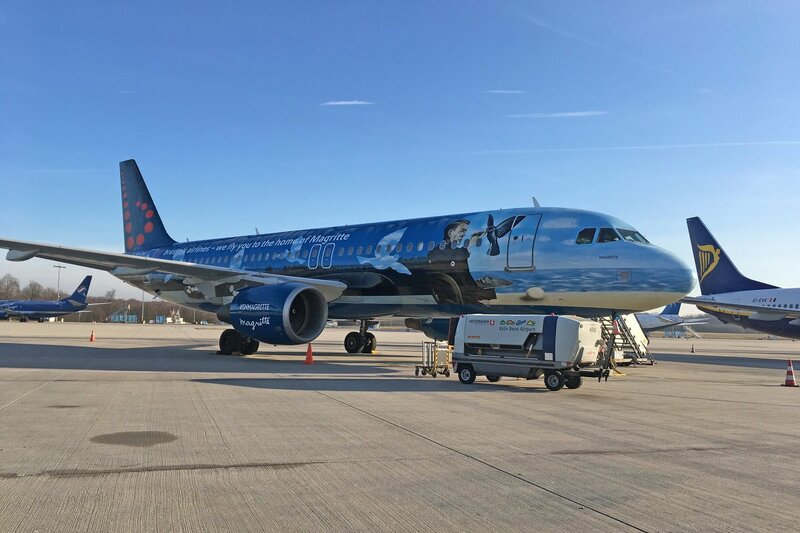 Brussels Airlines flight SN3779 is operated out of CGN by D-AEWJ from Eurowings! What are OO-SNA and OO-SNC doing in CGN then? No SN crews available? OO-SNC operating SN3325 CGN-HRG at this moment. The only SN aircraft flying now.